The Federal Road Safety Corps (FRSC) has returned the sum of 500,000 Naira recovered from an accident scene to its owner, Hafsat Idris. Hasfat Idris is lying critically ill in the hospital after being involved in an accident, but all is not lost. The Federal Road Safety Corps has brought a smile to her face after it returned the sum of 500,000 Naira recovered from the accident scene belonging to her. The Ilesha Unit Commander of the FRSC, Samuel Oyedeji, said on Wednesday that the money was recovered on April 25, 2017, from the scene of an auto crash involving a Toyota Pravia marked, EKY 626 AC, along the Ilesa-Ipetu Ijesa Road. 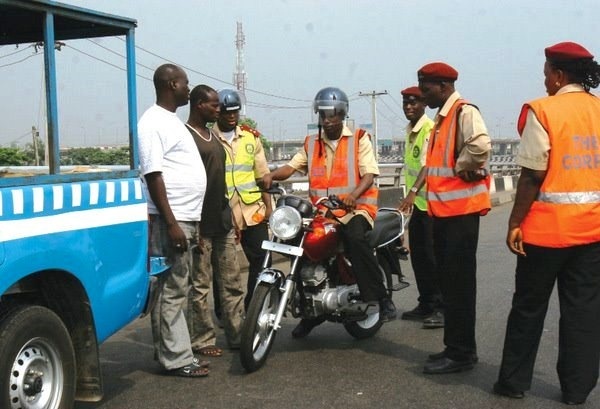 The FRSC boss presented the money to a brother of the victim, Jimoh Abdulrasak. Oyedeji explained that the money was returned to the owner after the agency had carried out thorough investigations to ascertain the owner. He said the victim’s brother brought documents to prove that he had the permission of his sister to collect the money on her behalf. Abdulrasak expressed gratitude to the FRSC for returning the money, urging the agency to intensify campaign against the use of Tokunbo tyres.